Missed “Off to the Races” today? Check it out here! Did you miss this morning’s edition of Off to the Races on The Racing Biz Radio Network? Not a problem: now you can check out our archived version of it below! Trainer Tim Keefe was on to discuss his talented three-year-old Still Having Fun, who won the Miracle Wood Stakes at Laurel Park last out, will likely run in the Private Terms next out, and if all goes to plan, might show up in a certain race run at 1 3/16 miles at Pimlico on the third Saturday in May. 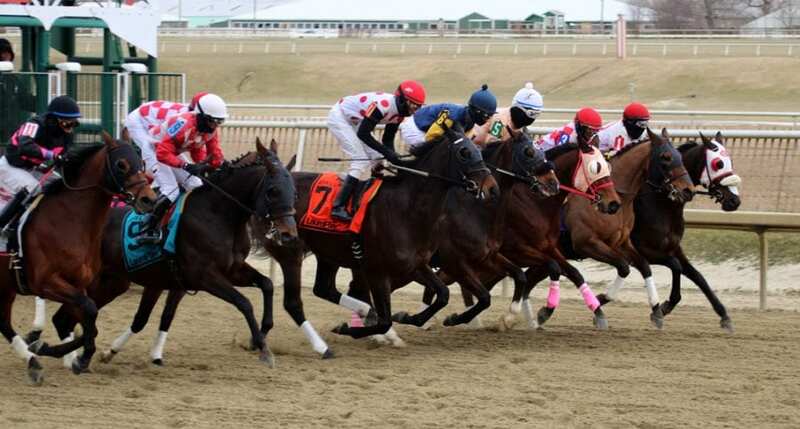 Alan Foreman, chairman of the Thoroughbred Horsemen’s Association, visited with us to discuss the rebirth of the Mid-Atlantic Thoroughbred Championships (MATCH) series of races, which in 2018 will be run for the first time in 16 years — a great example, Foreman said, of the growing cooperation in the industry. Willie White, president of the Maryland Horse Breeders Association, talked about the exciting journey he’s been on with Just Howard, the horse he owns who recently was named Maryland-bred Horse of the Year, Champion Turf Horse, and Champion Three-Year-old of 2017. And you can find all of our 2018 episodes archived here.